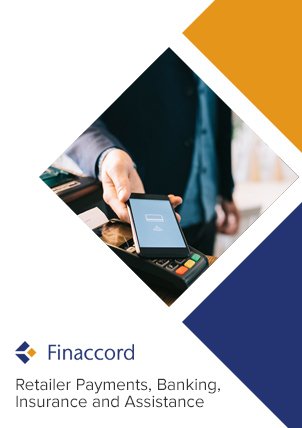 Retailer Consumer Finance and Payment Cards in Russia is a report and associated PartnerBASE™ dataset that investigates the market for both retailer point-of-sale finance and co-branded / store cards in Russia. Based on a survey of 163 major retail brands in Russia, including all significant retailers selling high-value products, the research identifies schemes for consumer finance and payment cards set up by each along with the providers used for these initiatives in each case (including card networks in the case of payment cards). It classifies these providers in accordance with whether they are external to the retail brands in question or, rather, if they are captive partners owned by them, joint ventures co-owned by them or internally-managed consumer finance or payment card programs. Moreover, by means of both unweighted and weighted analyses, the research highlights not only the providers that hold the most partnerships for these products with retailers but also those that are likely to occupy the most important partnerships. In addition, in terms of balances outstanding, the report quantifies the value of the market for retailer point-of-sale finance in 2017, simultaneously modelling its likely trajectory since 2013 and forecasting its outlook up to 2021. It also estimates the number of retailer payment cards in circulation in 2017 alone, setting this in the wider context of the market for all types of credit and other pay later card. retailers: consumer finance and co-branded / store card programs represent an important activity for numerous retail brands but how do they organise their involvement in this field and with which partner organisations do they collaborate? management consultancies: are you either assisting a retailer with the development of a consumer finance or payment card scheme or advising a lending institution or payment card issuer or network with respect to partnership opportunities with major retail brands? This research will help you to evaluate the options in this field in Russia, saving time and effort on researching the subject yourself.